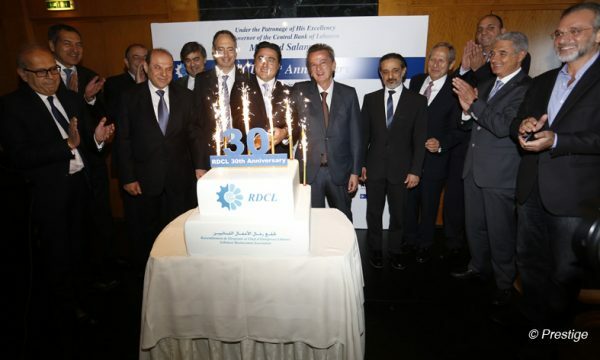 Organized under the patronage of Bank of Lebanon, RDCL chaired by Dr Fouad Zmokhol, offered a debate lunch with governor of the central bank, Riad Salamé at Four Seasons hotel to celebrate the thirty years of the union. An array of businessmen, financial actors, politicians, diplomats and media personalities and from the private sector participated to this event in a friendly and professional atmosphere listening with great interest to the advices of governor Salamé. 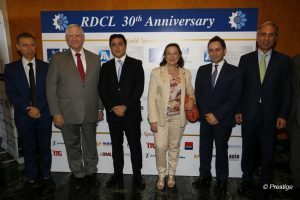 Raphael Debbané, Fadi Fawaz, minister Alice Chaptini, Dr Fouad Zmokhol and minister Nabil de Freige. Fouad Makhzoumi, Dr Fouad Zmokhol, minister Ramzi Joreige and Arslane Sinno. 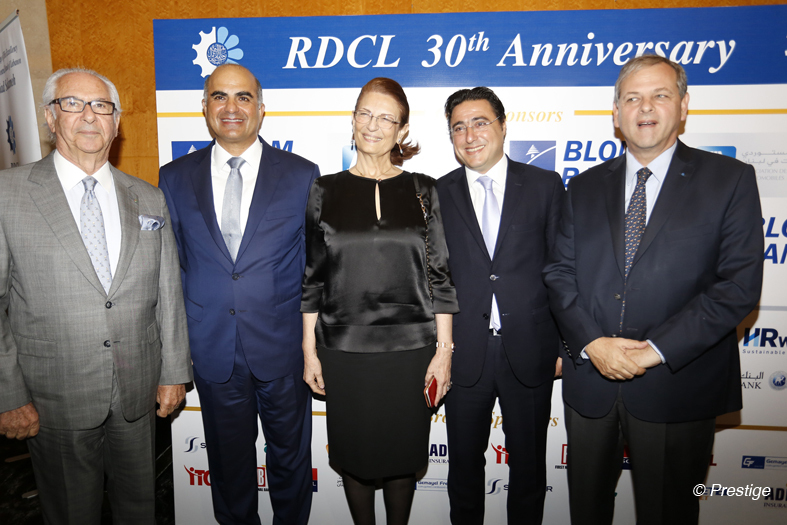 Gaby Tamer, Roger Nasnas, Dr Fouad Zmokhol and RP Charbel. 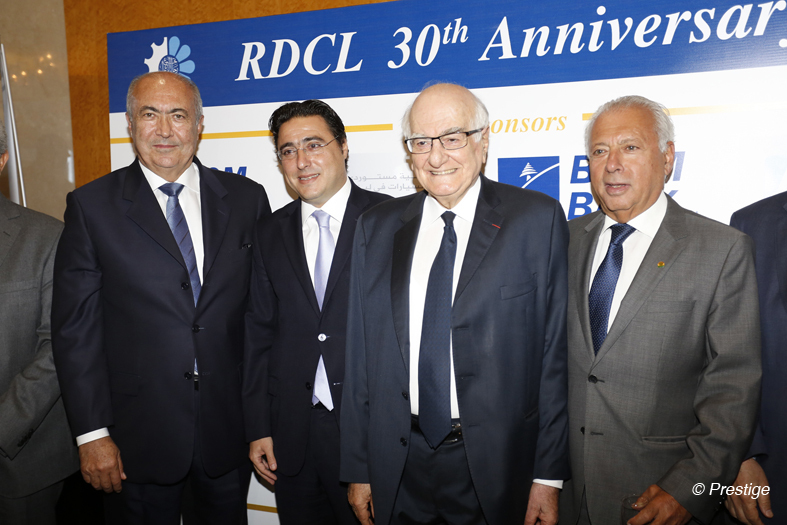 Pierre Achkar, Dr Fouad Zmokhol, Elias Aoun president of the Syndicate of editors and Mohamed Lamah. 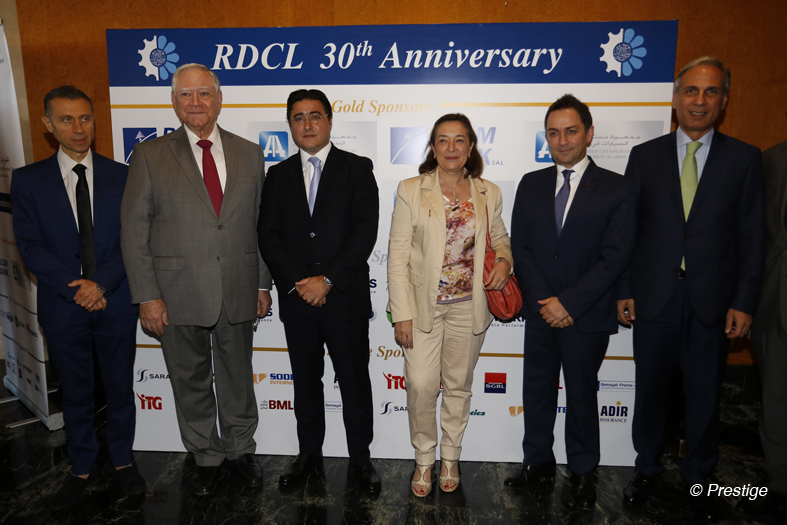 Abdallah Farhat, minister Ibrahim Najjar, Dr Fouad Zmokhol, HE Milagros Hernando, minister Ziad Baroud, Raed Charafeddine. 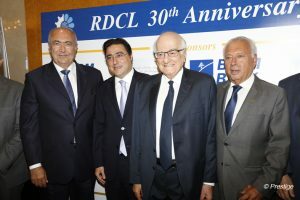 Antoine Sacy, minister Raymond Audi, Dr Fouad Zmokhol and Fouad Tabet.